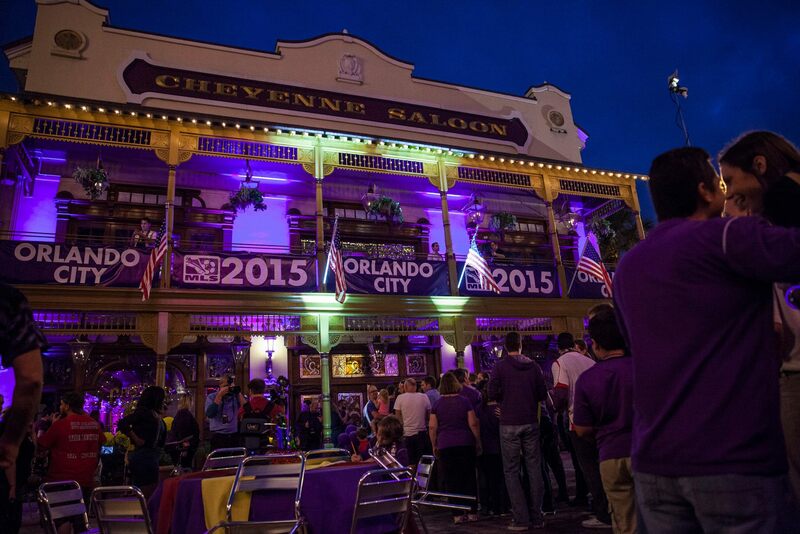 Major League Soccer comes to Orlando in 2015 when Orlando City Soccer joins MLS as an expansion team. The announcement was held at the historic Cheyenne Saloon on Church Street. (RetroPost: Historic significance of Church Street) The Cheyenne Saloon was where the Orlando Magic, our other current major league team, was announced in 1987. The Orlando City Lions add to a long list of professional sports teams in Orlando covering the minor leagues to major leagues in almost every team sport. Some lasted a few years — WNBA Orlando Miracle — hibernated and returned a decade later — Orlando Solar Bears (ECHL Hockey) — or played a single season XFL’s Orlando Rage. Baseball in Orlando goes back to the 1910’s, and might be most notable for hosting spring training. The Minnesota Twins trained here for decades (RetroPost: The Twins in Orlando). Orlando had a baseball team off and on- from 1919 until 2003 largely in the Florida State League. Known as the Orlando Rays for the majority of 40 years when the team dissolved in 2003, there were previous clubs, incarnations, and affiliations: Orlando Tigers, Orlando Twins, Orlando Dodgers, Orlando Seratomas, and Orlando Cubs. Orlando football’s most recent success was indoors with the Orlando Predators (since 1991). However, professional football goes back to the 1960’s and the time of the Continental Football League and the Orlando Panthers. 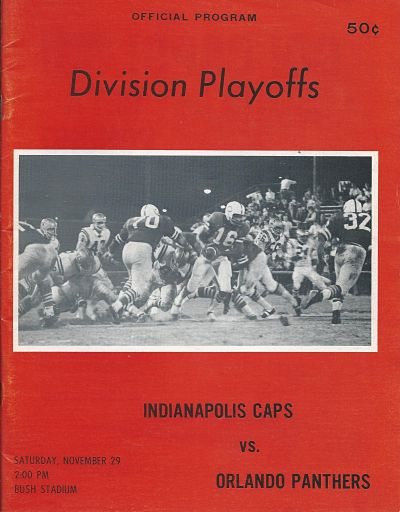 The Panthers played from 1966 until the league folded in 1969, and won two league championships during that time. Orlando City should see greater success and longevity because of an existing and enthusiastic fan base and the investment of a new soccer stadium west of I-4. Perhaps Orlando’s greatest football glory will not come in American Football but in futball (okay, soccer). Some people credit Walt Disney for putting Orlando on the map. I say it was already there or Walt never would have considered building here. Orlando has a long and interesting history that pre-dates Magic Kingdom, International Drive, and the outlet malls. Tourists had already been coming for decades to take advantage of the healthful benefits they believed the tropical climate provided. Grand hotels like the Angebilt and the San Juan Hotel were welcoming travelers a half a century before Walt Disney World welcomed its first guest. Orlando is not like Philadelphia or Boston, where the history is obvious. You have to look a little harder here to find history. Orlando grew from a small wilderness community dealing with cattle rustlers to one of the world’s top vacation destinations. That growth took over 150 years and there are some great stories to tell from those times. The idea behind this blog is to feature some Orlando postcards I have collected, share the stories behind them, and show what is there today. 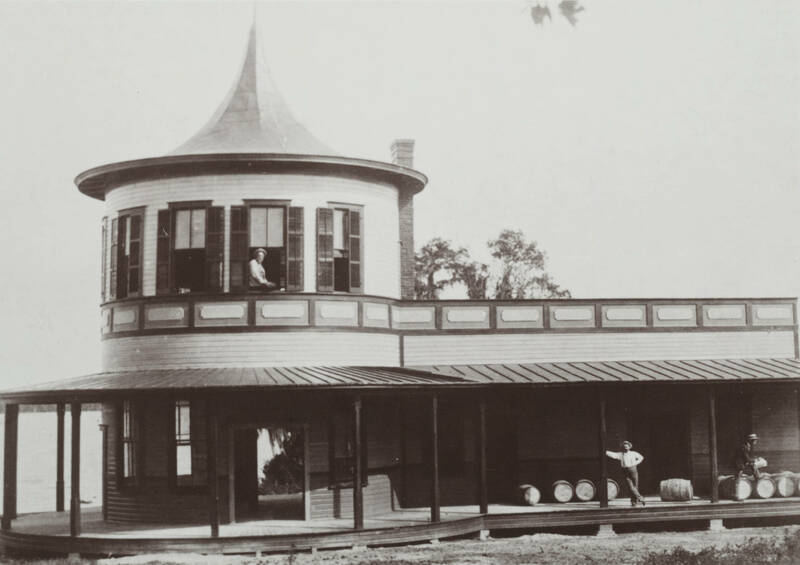 This is sort of “Orlando – Then and Now”. My qualifications to share these stories? I have eaten fried shrimp at Gary’s Duck Inn, enjoyed pickles and slaw from the relish bowls at Ronnie’s Restaurant and Deli, and have an appreciation for living in the City Beautiful.